Every day over 100 people die internationally while waiting for an organ transplant and every five minutes somewhere in this world someone is added to one of the national organ transplant waiting lists. Lists in various countries include thousands of individuals waiting for a heart, kidney, lung, pancreas, liver, skin, tendon, bone marrow, eyes or heart valve transplant that will save their lives; a large percentage of them are children and young adults. 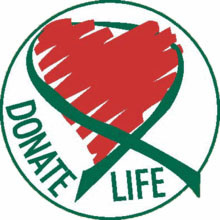 Both diabetes and hypertension can lead to the need for an organ transplant if not treated well and nearly one-third of those in the organ transplant waiting list are suffering from one of those, with the numbers increasing daily - forty percent of them will need a kidney transplant. Accidents are the next cause for transplants, especially between young adults. Rapper Nelly used his celebrity position to talk about the importance of organ donation after his sister was diagnosed with leukemia in 2001 and she needed a bone marrow transplant, while I also had a member of my family who went through exactly the same procedure. After his involvement over 2,000 new donors registered. Sean Elliot, the former NBA player, returned successfully to one of the hardest and most competitive sports in the world after receiving a kidney transplant, and was then followed just one year later by another NBA star Alonzo Mourning who also had a kidney transplant. As you can see, an organ transplant not only save lives, but it gives life to people who thought that they had reached the end; what could be more natural to give hope to thousands more? Furthermore, there are thousands of kids, even newborn babies, who have a desperate need of an organ, most commonly a heart transplant. I know that it does not sound normal to talk about obligations after death, but we must all be aware that our obligations to the human race and its future don’t stop the minute after death; we can still do good and save a life. Even more, we can live another life and that has nothing supernatural in it. It is just the feeling that your own organ gives life to a dead body. The hospital often ask the family if they want to help others by donating the organs of their late relative, but under the sentimental pressure of the moment it is natural that most of them refuse, especially when it comes to young members of their family. This is why it is good if we realize the concept ourselves and become donors as soon as possible. The process of becoming an organ donor varies from country to country, but in general in most countries, such as the EU and in America, there are organ procurement centers you must register. You must also remember that registering is only the first step because donors must inform their families of their decision, since close family have the final word and must respect the donor’s wishes. It is important is to make as many people as possible aware of your decision and this may even influence others to follow your example. People should not be afraid, even though it is something that includes their own death and thankfully we don't all have a family member or friend who has needed an organ to make the decision simpler to understand. You must just remember that there are cases where a donor saved more than one fellow human being, including children and newborn babies.